Heat the oven to 160C/fan 140C/gas 3. Butter and base line a 23cm springform tin. Beat together the butter and sugar until light and fluffy (use an electric hand whisk). Add the eggs one by one and beat between each addition. Fold in the polenta, almonds and baking powder. Mix in the lemon zest and juice. Bake for about 50 minutes-1 hour until the cake is risen and golden (cover the top of the cake loosely with foil after 30 minutes to stop it browning too much). Make the syrup by warming the limoncello with the icing sugar until the icing sugar has melted. 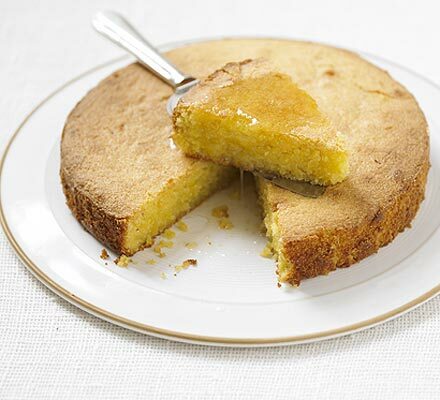 Serve the cake warm cut in slices with a drizzle of limoncello syrup.